With the advent of technology and advancement in education, the people today have become intelligent and clever but many amongst them are using their intelligence in a wrong way, so as to extract monetary gains through wrong means. One such fraud happens when people make false claims in an insurance company. Today, the Insurance companies have a slight idea for the fraud claims which are made by individuals as well as the companies, so as to get monetary claims as a result, the Insurance sector undergoes a loss for the excess costs incurred. We Sleuths India is thus a saviour for these companies and are offering the services of investigating any false insurance claims and to detect any kind of frauds taking place. We work for the most renowned insurance companies and help them in saving themselves from any kind of frauds and false claims. Our clients include some of the well known Vehicles, Industrial, General, and Health Insurance Companies. We acquire detailed evidences and undertake stringent measures to provide the most accurate information to our clients. All our services are offered at industry leading prices. Sleuths India conducts extensive investigations to find out the fraudulent insurance claim activities which include the investigations which include checking for Contestable Investigations, Accidental, Fraudulent Claims, and Evidence Documentation etc. 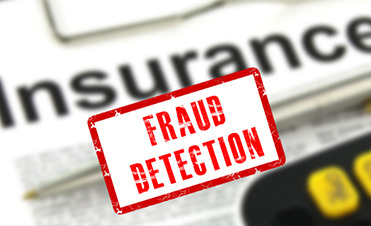 We are the Top Detective Agency in India and have helped many insurance companies by recognizing the fraud insurance claims made by other people, to recover false hefty insurance claims. All of these investigations are carried out by our team of skilled professionals, who guarantee the accuracy of the results. Being a recognized entity, we have a fair pricing method for all.